To investigate the influence of trabeculectomy and phacotrabeculectomy on the ocular surface. Eighty-one samples without dry eyes were recruited and divided into three groups, including phacoemulsification group (N = 30) as control group, trabeculectomy group (N = 27) and phacotrabeculectomy group (N = 24) as study groups. 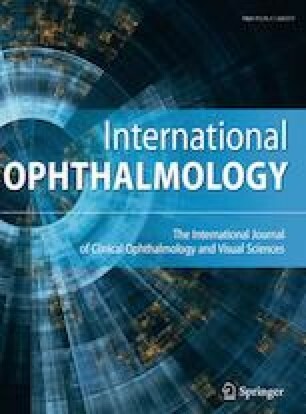 Ocular surface parameters, including noninvasive keratograph first (NifBUT) and average (NiaBUT) tear film breakup time, tear meniscus height (TMH) and corneal fluorescein stain (CFS), were estimated preoperatively, at 3 days, 1 month and 3 months postoperatively using oculus keratograph. No significant difference was observed in ocular surface parameters at baseline among three groups (p > 0.05). The magnitude of NifBUT and NiaBUT was reduced at 3 days and 1 month postoperatively in phacotrabeculectomy group, but greater than that in the other two groups (All p < 0.001). In all the groups, both the NifBUT and NiaBUT tended to recover at 1 and 3 months postoperatively, whereas both of them did not recover to baseline at 3 months postoperatively in trabeculectomy (NifBUT, p = 0.001; NiaBUT, p < 0.001) and phacotrabeculectomy group (NifBUT, p < 0.001; NiaBUT, p = 0.020). TMH was raised at 3 days postoperatively and restored to the baseline level at 1 and 3 months postoperatively for three groups (p > 0.05). CFS was elevated at 3 days postoperatively and different in recovery at 1 and 3 months postoperatively for three groups. The influence of phacotrabeculectomy on ocular surface is worse than that of trabeculectomy for the short run and is not distinct different for a long time.